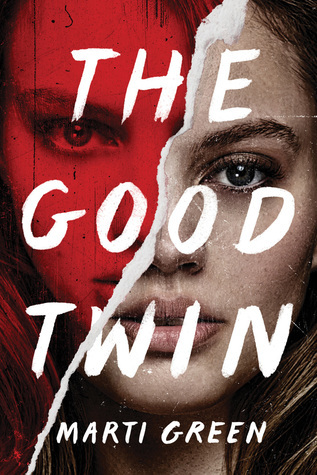 When I started The Good Twin, I wasn't sure I could finish. The idea that a sibling could plot the murder of her twin just didn't sit right with me. But I'm glad I kept going. It is a great thriller. Mallory grew up in a poor, single mother home. She has struggled her entire life, both in terms of lack of money as well as lack of relationships. All that is changed when she is mistaken for Charlotte "Charly" Gordon, gallery owner, art dealer, and heiress to a FORTUNE. It is said that everyone has a twin, but what if you actually had a twin whom you were separated from at birth? This discovery of a sibling brings elation that she is no longer alone but also jealously - if she had been adopted too would she be rich? Charly's husband is excited to discover Mallory for a totally different reason. He is miserable in his marriage, forced to take a job he never wanted with his father-in-law, but he has become too accustomed to a wealthy lifestyle - a lifestyle he would have to walk away from should he divorce Charly. With Mallory in the picture, he now had his way out: murder Charly and have Mallory take her place so no one is any wiser. That's the basic plot and to say any more would run the risk of spoiling the story. The story is told in alternating chapters focused on Mallory or Ben and then later on Charly. Even so, the reader isn't privy to everything so there are a few twists. The first twist I had hoped would happen from the beginning. It is one of the things that reader isn't told until much later in the story. Though I had hoped it would happen, I felt unsatisfied with how it played out. I'm not sure what I wanted. The only way I can think of to describe it is that I felt a bit flat and I think I expected to feel relief. The later twists toward the end of the book were a surprise and definitely kicked the thriller aspect up a notch. Everything was wrapped up in the end rather tidily so you aren't left wondering about the future for the characters. I think what I liked best about the book were the what-ifs that were explored. Could you have plotted murder against your own sister? What if Mallory had been adopted and not Charly would that have changed their personalities and therefore decisions (the age-old question of nature vs nurture)? Even the smaller questions such as what if Charly hadn't married Ben right out of school and instead let him finish law school would their marriage been any stronger were interesting. Overall, it was an enjoyable read. Not as faced-paced as many psychological thrillers, but definitely a great mental exercise as the readers explore their own feelings on the situations faced by the characters.